Acer's Aspire S3-951 Ultrabook has a 13.3", 1366x768 display, a Core i5 processor, 4GB of RAM, a 20GB integrated solid-state drive, a 320GB mechanical hard drive, and a six-hour battery. Acer boasts the system can wake from sleep in just two seconds—likely thanks to the SSD, which is "integrated with the mainboard" and "stores the operating system and maintains the current PC's state as it was when left unattended." Being an ultrabook, the S3 is rather thin and light, too. 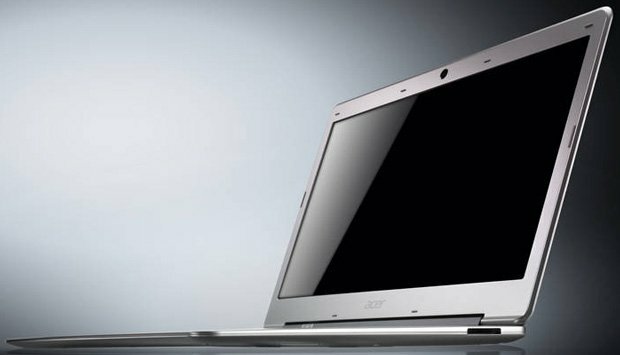 Acer says its magnesium-aluminum alloy chassis measures just 0.51" at its thinnest point and 0.68" at its thickest. The whole system tips the scales at only 2.98 lbs, so it should be about as heavy as most netbooks (albeit a little larger, since that 13.3" display does take up some space).